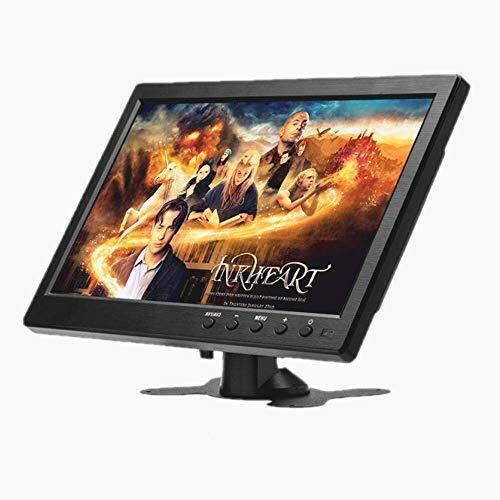 High-quality HD 10.1in TFT LCD Monitor with a Widescreen high-resolution pc display supports different formats and will let you enjoy movies and video games during travel and even being at home. With the Portable Digital Car Headrest TV Video Player you can watch movies, play games and park easily. Car LCD monitor is compatible with recording monitoring, vehicle monitor, car backup screen and computer display. Tv for car has portable sizes, adjustable stand and is really easy to install. HIGH QUALITY: HD LCD Monitor with a Widescreen high-resolution pc display of 1920 x 1080 and power supply within 9-30V will definitely be a perfect solution for your car, home, on travel or track. MULTIFUNCTION: In the HD 10.1in Display Monitor PAL and NTSC have switched automatically and the video is easily switched between front and back camera if you use it for a car backup system. SUPPORT: Car TFT LCD monitor is compatible with recording monitoring, vehicle monitor, car backup screen and computer display as well as supports VGA / AV / HDMI / DVD / PC / CCTV / TV. ANYWHERE: Portable sizes, adjustable stand, and easy installation allow you to use this LCD screen at home or in a car as a Computer Color Screen for Track or Vehicle Backup Rear View Camera. TOP CONVENIENCE: Portable Digital Car Headrest TV Video Player is a perfect solution which gives you a chance to watch high resolution video and play games at home or while driving.